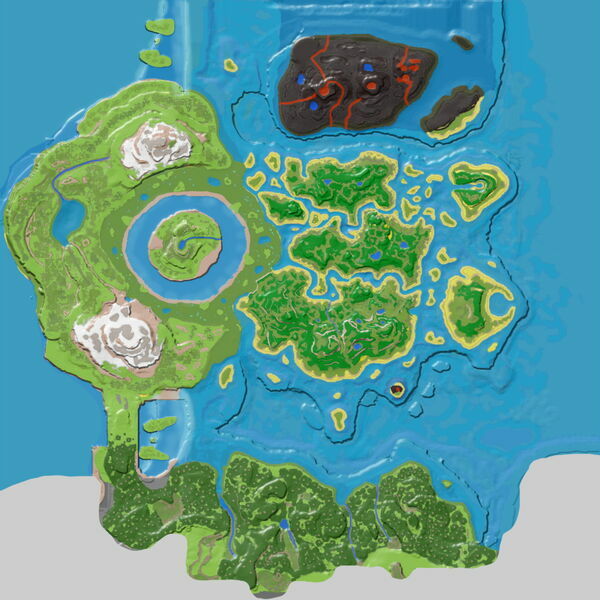 Southern Tropical Island is a survivor-friendly island to the east in the DLC: The Center. The Tropical Island South is one of the easiest areas for a new survivor to start in. The Blue Obelisk is located here, and there are plenty of mid-game resources. A large cove cuts into the east of the island for a deep water pen or naval port. Dozens of Metal nodes and a few Crystals are hidden atop the small mountain. Skull Island is a short flight (or voyage) away to the southwest, and will provide extremely large amounts of Metal, Obsidian, and Crystal. This page was last edited on 3 February 2019, at 16:32.